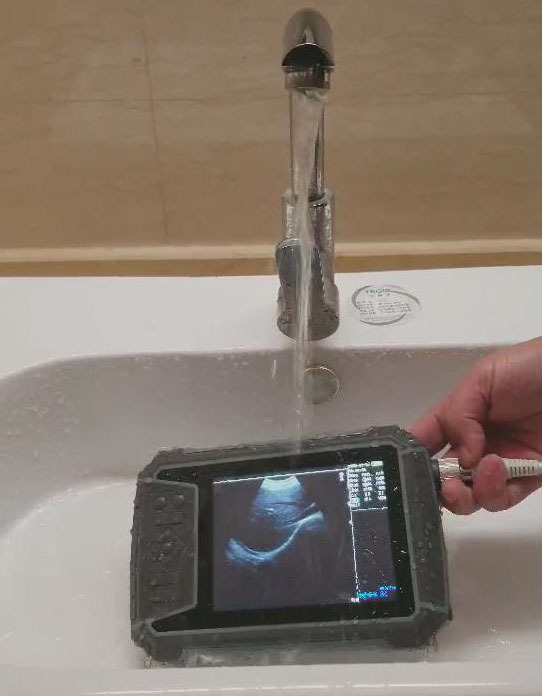 We’re proudly to launch to the market a brandnew full digital waterproof veterinary ultrasound scanner (Model No: BW590V) , vet ultrasonic imaging system today. 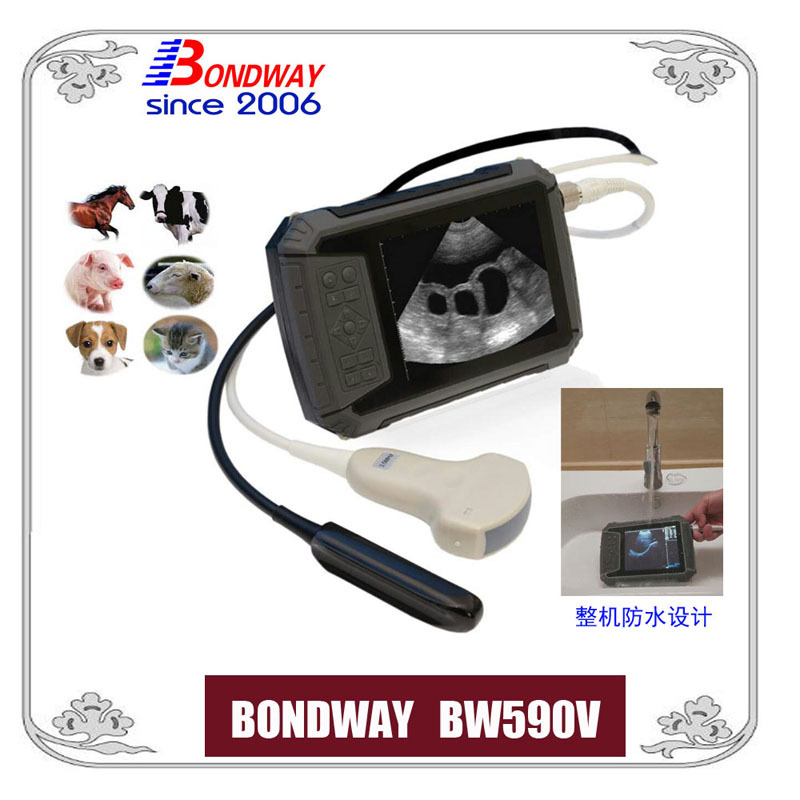 This ultrasound scan for equine, bovine, cattle, llama, etc, is installed with a comprehensive software packages including equine, bovine, swine, ovine, canine, feline, etc. It’s coming with a wide variety of optional probes: convex, high-frequency linear, micro-convex, transrectal linear probe, transrectal convex probe, Linear Loin transducer. This new waterproof design of the whole machine can prevent any damage to the machine from sudden raining, splash or animal urination when you do ultrasound diagnosis on large animals outdoor on a farm, and it will also facilitate customers to clean and disinfect the machine easily after use. Another distinctive feature of the machine is that its display part uses a tempered glass panel, which has higher safety, higher impact and bending strength and higher thermal stability than traditional glass panels, it can withstand temperature difference f up to 200 degrees Celsius. For example, an animal's accidental anger may kick the display of the ultrasound scanner, but the tempered glass will break into a honeycomb and will not cause unexpected injuries to operators.